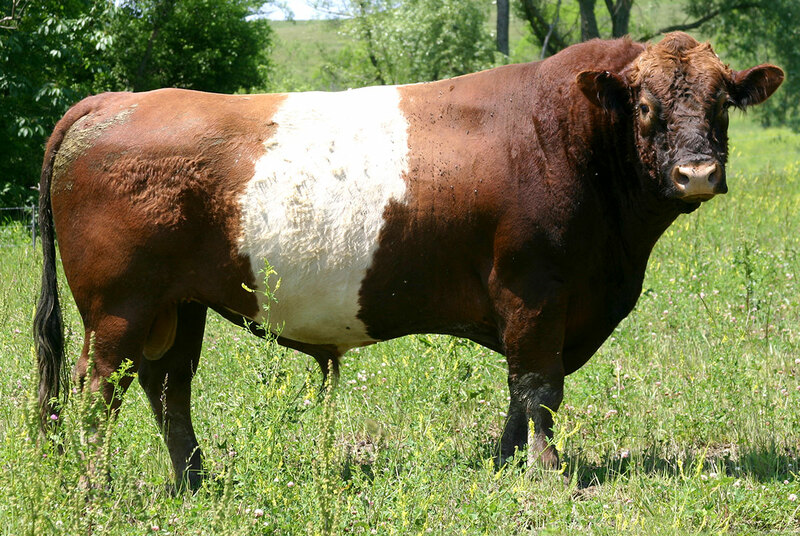 Yard of Fun Is a big red belted Buelingo who sires a high percentage of correct belts. You saw his calves place well at the BBCS 2005 Championship show, and several producers have progeny from him. 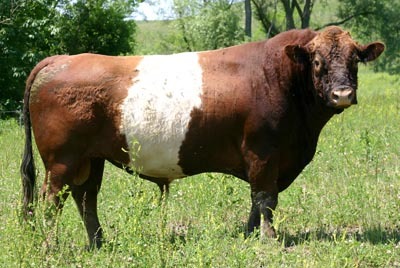 He was the leading sire of the V-3 Roland Vernon herd until purchased by Dickinson Cattle Co. He is a true all-around sire. Use him on non belted cows to get belts, use him on registered cows for red belts, use him to get polled calves, and trust him for moderate to small birth weights. He sires a very low percent of white feet. His 2275 lb masculine structure makes him a bull with a major amount of size combined with a humane birth size. He is a wise choice for AI use.